There are differences between liposuction for men and liposuction for women. The main difference is where the fat is. Fat deposits settle in different parts of the male body. Men mainly suffer from fat deposits in the abdominal area, torso, chest and back. There are different types of abdominal fat. Visceral fat is inside the abdominal cavity and not directly under the skin, liposuction can not remove visceral fat. Beer bellies typically are mostly visceral fat. Conversely, fat that lies directly under the skin is a great liposuction. 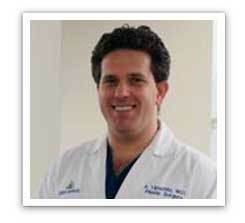 Dr Avron Lipschitz is a Board certified surgeon with a unique practice based on his refined aesthetic acumen and advanced surgical techniques. Cosmetic surgery is both an art and a science and Dr Lipschitz believes that natural and long-lasting results can only be achieved through surgical expertise and a dedicated, life-long passion. Smartliposuction Palm Beach has a focus on Smart Lipo for men. Our Laser Liposuction treatments are perfected for men who wish to get rid of fat that has settled in certain areas of their body, defying both exercise and weight watching. If you have areas with excess fat which refuses to respond to diet and exercise, you may be a prime candidate for Smart Liposuction. How is the procedure performed? For most men with gynecomastia, the breasts simply contain fat deposits. Fat removal with laser liposuction can be an effective treatment for this kind of gynecomastia. This procedure leaves you with a more sculpted, well-defined manly physique. Smart liposuction is performed with tumescent (local) anesthesia on the chest area so you are not under general anesthesia. Patients are back at work in one to two days.